Here are our Top 25 Best Sports Movies for Baseball. See how our selections match your picks for the best. If you disagree with the list, please feel free to show us your best sports movies by going to YOUR List and sending us your picks. We will be happy to include your list on our pages. 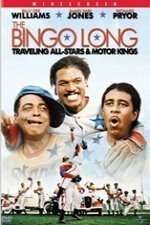 For now though, sit back, relax and browse the top 25 baseball movies. An Iowa farmer hears voices that tell him to build a baseball field. An aging baseball player, that has never played in the big leagues, tries to bring his team from last place to a bid for the playoffs. A career minor league player is sent down to class-A baseball to groom a rookie pitcher. 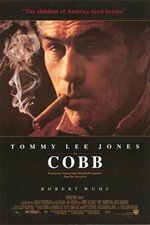 The life story of one of baseball's greatest players. The famous "today, I consider myself the luckiest man on the face of the earth" speech is heart-wrenching. New York Yankees Mickey Mantle and Roger Maris make a bid to break Babe Ruth's single-season home run record of 60 set in 1927. A former minor league pitcher turned Texas high-school chemistry teacher and baseball coach signs a minor-league contract with the Tampa Bay Devil Rays. Can this 38 year old make it to the big league? Rag tag bunch kids from a small town play baseball and find trouble. Hillarious story of the losing Cleveland Indians baseball team being threatened with relocating to Miami. The true story of a pitcher that lost a leg in an accident an how he overcame it to continue to pitch in the majors. 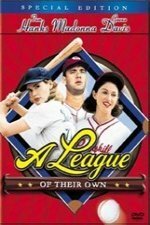 The coach of a losing little league team brings in a female pitcher. A baseball player with a terminal illness gets help from a teammate. Black baseball players barnstorm the country playing ball. Be careful what you wish for. Joe has a rough journey and even though he negotiated for an “escape clause”, he does not want to see those Damn Yankees win another pennant. Dizzy, whose real name was Jay, and his brother Paul (called Daffy) combined for 49 wins for the 1934 Cardinals. Anthony Perkins portrays '50s baseball star Jimmy Piersall, who fought back from a mental breakdown to return to the majors. Roberto Clemente, the Great One, was a young kid's idol. The way he caught a fly ball, the way he ran the bases, the quirky movement of his head and neck at the plate, hey we all emulated his play. 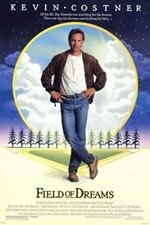 A sailor-mouthed manager who mends his ways after some divine intervention lifts his Pittsburgh Pirates team out of the cellar. A chronology of the game of baseball from its inception. Divided into nine segments, each representing an inning. Ty Cobb nicknamed "The Georgia Peach," was a baseball player and is regarded by some historians as one of the greatest players of all time. This sports drama chronicles the story of the Yankees' championship season against the backdrop of a team--and a city--engulfed in chaos and controversy. The Babe is of course the story of George Herman "Babe" Ruth. John Goodman plays the Babe. This film was not well received in the box office. He quit the game assured he would be voted into the baseball Hall of Fame leaving his team high and dry. But, an error in the stats is discovered and Mr.3000 has just 2,997 hits, three short of the magic number.